Waiting list or not, it can still be super tricky to get the Hermès Birkin of your dreams. If you walk into an Hermès store, anyone can buy anything off the shelf, but you will rarely find a Birkin or a Kelly waiting for you. Those bags, if available, are usually kept out of sight and require speaking to a salesperson. Sales associates work closely with customers to help them find what they’re looking for. Though a traditional wait list doesn’t exist, there is an order of who gets what and when, and sometimes it’s hard to figure out if it will ever be your turn. That’s why countless shoppers turn to the resale market to find the Birkin that they want in a timely manner. The resale market is flooded with bags, and, unfortunately, many are fake. In our new series, we will share tips on making sure the bag you find is real. There is so much more that goes into Hèrmes authenticating than just what we’ve compiled below, and in the next post, I’ll share more specifics on the bag to look out for. To kick it off, though, here are five basics tips to tell if a Hermès Birkin is real or fake. If it’s too good to be true, it usually is. No one is going to give away a bag that can be easily resold for $12,000 for a lot less just because they claim to have gotten it as a gift. It’s especially true for a Birkin, but the tip can be applied to many sought-after designer bags. Don’t expect to get a Birkin that is in good condition for much under retail value, if at all. However, also keep in mind that seasoned scammers will often price a bag in the right range because they feel it helps build the illusion that the bag is the real thing. While buying on Instagram or Facebook can be tempting, often there are very few photos. Ask to see photos of the interior, with a clear view of both lining and zipper ends; on a Birkin, those have distinguishing features. Make sure photos are clear enough that you can look at the stitching carefully. Also ask to see the craftsman’s marks, as Hermès is relatively consistent in how it uses them; often, fakes are 28S on the craftsman stamp or 121 on the lock set (though 121 was used as an authentic lock set a long time ago). If the seller has a good reputation for selling authentic goods, you know that if anything does go wrong with the transaction as a whole, you are dealing with a reputable business person. It’s best to deal with people who have built a considerable reputation and business on the sale of authentic goods, even if that means paying a bit more versus a new or amateur seller. Also, remember that wire transfer is advantageous to the seller but not to the buyer. Once a wire is sent, the buyer has no protection at all should something go wrong. See if the seller’s written policies stand behind authenticity and how they handle the return of a bag that a buyer believes to be fake. We have a great post on buying pre-owned designer bags online that gives a list of sites we like to use. The Birkin has so many options, so do your research ahead of time on authentic bags in the color and leather you want, as they will have a specific combination of stitch and resin color. For example, a gold Birkin will have white contrast stitching and brown resin. If it’s identified as gold but doesn’t have contrast stitching, it may still be authentic and the seller has misidentified the leather color. That should still be a red flag–not only is it more likely the bag is fake than if everything matched up as it was supposed to, but it means the seller may not be as detail-oriented as you’d ideally prefer for a five-figure transaction. You can peruse countless threads that include images and information in the Hèrmes subforum on PurseForum. If a seller insists on meeting in an Hermès store so that the bag can be authenticated there, don’t fall for it. Hermès, like most high end designers, does not allow its sales people to authenticate an item. The seller is likely using this offer as a way to reassure you the bag is real and hoping you will not call his or her bluff and insist on the meet-up. If you don’t feel qualified to authenticate on your own (and even experienced buyers can be fooled by a good fake), consider using a trusted authentication service. The PurseForum has amazing authenticators that volunteer their time in the Authenticate This Hèrmes Thread. Also, sometimes you will want to enlist the services of a paid authenticator. Generally for Hermès, the price is in the range of $50 to $100, depending on the item and verification provided. Considering the amount of money potentially on the line, it’s worth investing that little bit more for peace of mind. If you receive an authentication telling you a bag is fake, you can provide that to the seller to help get your money back, and some resale services require it in order to issue a refund. Congratulations on your decision to buy a Birkin bag! Some of the most important questions to address before you being your process include: “How to buy a Birkin?” “Where to buy a Birkin?” “How do you make sure it is authentic?” At PORTERO we have been selling and consigning Birkin bags for more than 10 years, and here are the 7 things you absolutely must consider when buying your first Birkin bag. The first thing to consider when purchasing your first Birkin bag is whether it’s authentic or not. Always buy from a reputable seller who provides lots of pictures of different angles of the bag. If the bag is authentic the seller will have nothing to hide. When buying your first Birkin, consider your lifestyle. Are you a mom on the go who needs a roomy bag? Do you plan on using your Birkin mostly for travel? Perhaps you’re really loving the current mini bag trend, or maybe you’re petite and prefer a bag that doesn’t overtake your figure. Because of the many options available, consider all these factors before making your purchase. Think about your wardrobe and how your Birkin fits in it. A lot of people opt for black as their very first Birkin color because it’s so versatile. However, perhaps a neutral color like Etoupe or Gold might work best for you. Maybe you want your Birkin to stand out and want to get a pop of color. Hermès has a large amount of beautiful colors you can choose from, so it’s worth spending some time researching them, and deciding on the one you’ll wear the most. 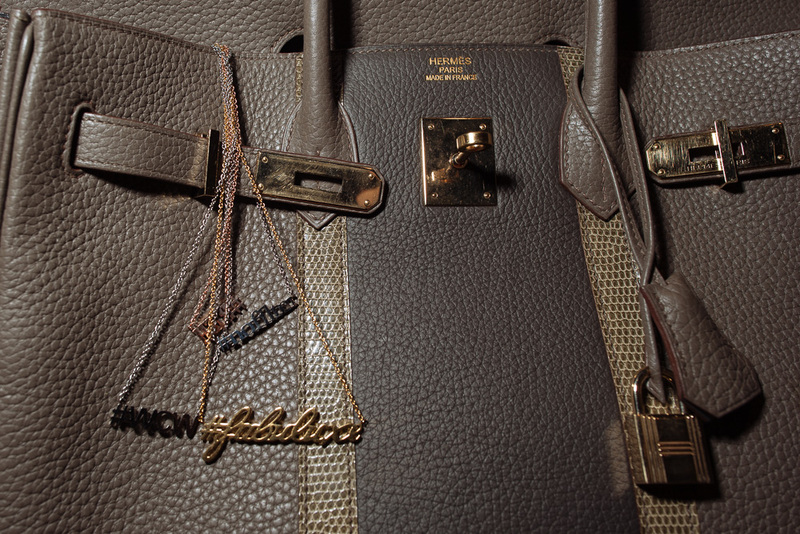 The two most popular hardware options offered by Hermès are Gold and Palladium. When picking out a hardware for your first Birkin you should consider which tone of accessories you wear the most. If you don’t care much for a matchy-matchy look, or you wear both tones the same, then hardware selection will not be an important factor. However, most women prefer one over the other. Hermès also offers an array of different leathers. Togo is the most popular one because it does not scratch easy and can be refurbished at the Hermès Spa to make it look like new. However, Togo is heavier than other leathers. For example, Clemence is smoother to the touch but will not hold its shape over time, this gives the bag a slouchier feel. We recommend researching the different types of leathers (and exotic skins) Hermès has available before making your decision. You can refer to our Hermès Leather Guide video for more information. By now you must know Birkin bags are an investment. Though what is the best price to buy a Birkin bag? You should be prepared to spend anywhere from $7,000 to $100,000 on your first Birkin, depending on the leather (or skin), size, color and hardware of your choice. Purchasing a Birkin in the secondary market will come with a premium but will guarantee instant gratification and guarantees you will get the exact same Birkin bag you want. At the boutique you will not only have to wait, but you will be offered what they have, which may not be the bag you want. In the secondary market you also have the option of perusing pre-loved handbags that will come with a lower price tag. And always remember, if the price is too good to be true, the bag is most likely a fake. A pre-loved Birkin may or may not come with its original orange box, but if it does it will cost you extra. An Hermès dustbag is always preferable, but you can keep you first Birkin safe in any other dust bag that is size appropriate. Before purchasing your first Birkin, be honest with yourself about how much you want the accessories, and consider if you have the appropriate room in your closet for them. The Hermes Birkin bags sizes are available in 25, 30, 35, 40 and 50cm sizes. There are also two bigger models, the 45cm and 55cm, which are intended to be used as traveling bags, but these are no longer made. 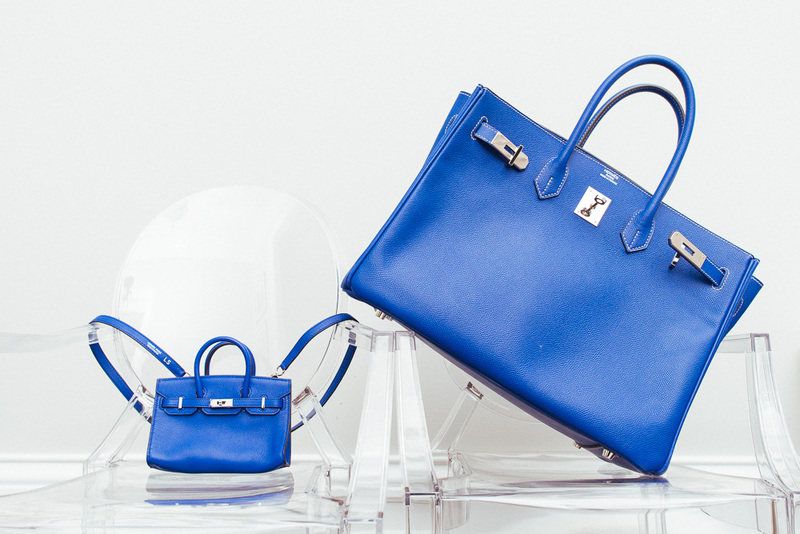 The Hermes HAC is similar to the Birkin and most people cannot tell the difference. This bag comes in 27cm, 32cm and 37cm sizes and features shorter straps. It is no longer made though. But you can find some in the resale market. The smallest of Birkin bags, the 25cm one, appeared in 2004. It remains a popular accessory for evening events such as dinner parties. The 30cm Birkin has proven to be popular in certain markets because it fits more diminutive statures. Great for those looking for an evening bag look or those around 5’2″ or under. The 35cm Birkin is regarded by most as the best choice and remains the most coveted bag from Hermes. For most women, the size is not overpowering, and holds a lot for our busy lifestyles. It’s the size of the first Birkin, made by requirement of Jane Birkin. The 40cm Birkin will always be known as the original design. It is a little too big for most woman but is a great size for a man. Also great for a woman looking for more of a briefcase or a small travel bag. The 45cm Birkin was once the biggest model available with two types of a handle and a shoulder strap. This is now the largest Birkin bag current sold by Hermes. It is clearly a travel bag and only comes in certain leathers. The price is rumored to be around $15,000. Unfortunately I cannot find the actual dimensions. The next time I’m in the store, I’ll ask and update the post.